What if you could work towards a world-class online Irish University degree on your own schedule, from the comfort of your own home, in your own town, in any place in the world? 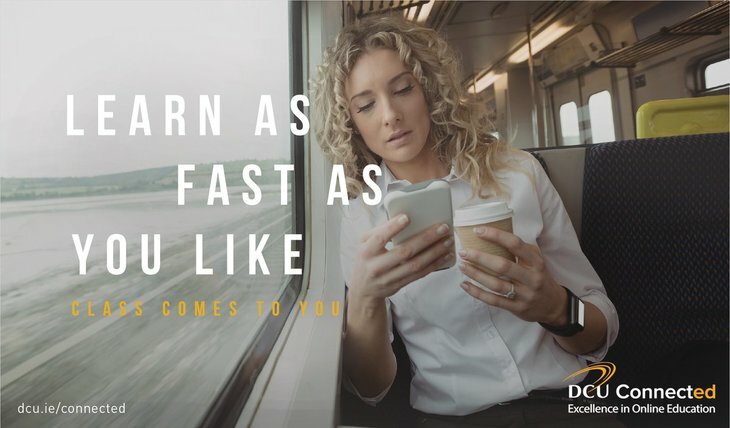 Online learning with DCU Connected gives you remote access to all the resources of an established university: an innovative curriculum, renowned teachers and lively exchange with your fellow learners. This is not online learning as you’ve imagined it—with Connected, you’ll be an integrated and invaluable part of the university community. 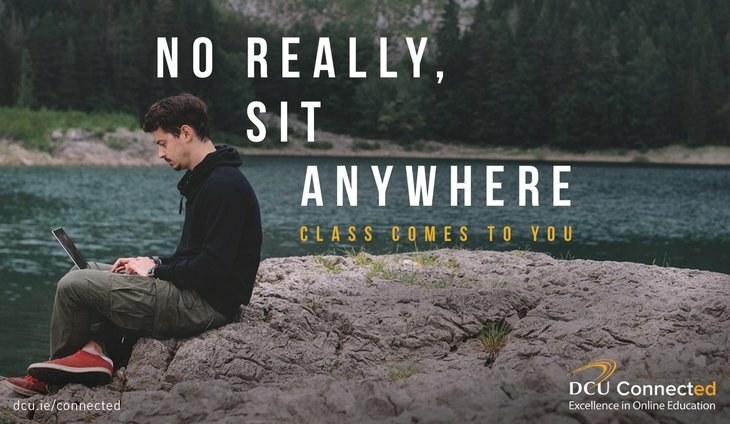 With DCU Connected, learning happens anytime, any place. Distance learning has never felt so close. DCU Connected fits DCU’s mission of transforming lives and societies. At DCU we realise that not everyone has the option of undertaking full time, on-campus study. For these students, our aim is to provide flexible access to fully accredited DCU programmes. Not only will you be able to take courses regardless of your location, but you’ll also have the opportunity to connect first-hand to an increasingly international network of students. The result is that you will have a globally recognised Irish degree that provides a unique, multi-faceted perspective on some of the major challenges and opportunities facing the world. This Postgraduate Programme recently participated successfully in the accreditation process conducted with DCU Business School by the Association to Advance Collegiate Schools of Business (AACSB), the world's oldest and most prestigious global accrediting body for business schools. AACSB accreditation is widely recognised as the hallmark of excellence in business education and has been earned by less than five percent of the world's business schools. The Management of Clean Technologies online programme will enable learners to apply their engineering or technical background to grow into senior managerial roles in the clean technology sector.